Retailer Macy’s reported strong results for the final quarter of 2017, thanks to the strong holiday sales. Macy’s shares surged 10% in the pre-market session. 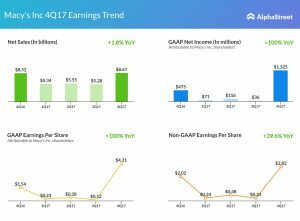 Profit more-than-doubled to $1.33 billion or $4.31 per share, compared to $475 million or $1.54 per share in the fourth quarter of 2016. 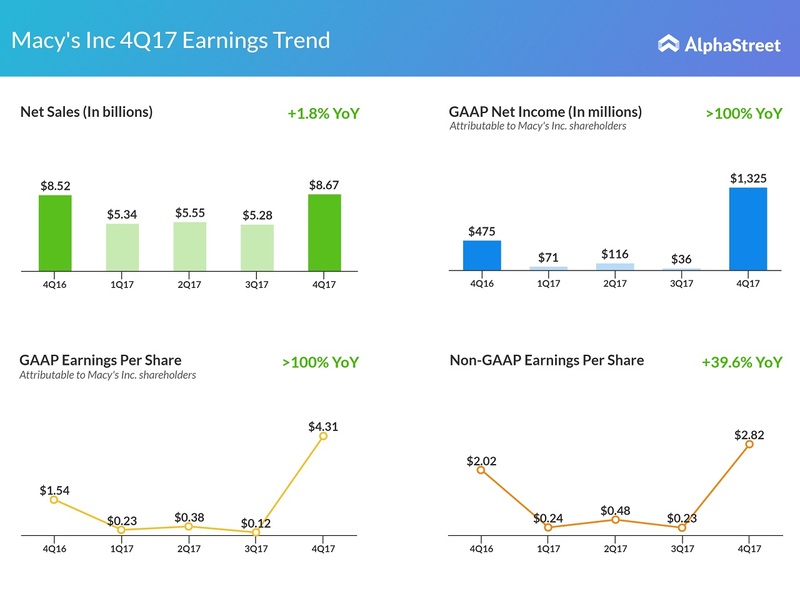 On an adjusted basis, earnings soared 40% to $2.82 per share. 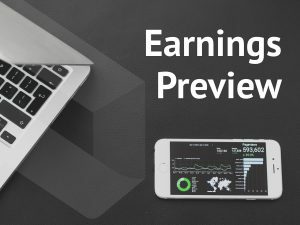 Sales grew 1.8% year-over-year to $8.67 billion. Comp sales for owned stores were up 1.3%, while comp sales for owned and licensed stores were up 1.4%. For 2018, Macy’s estimates total sales are expected to be down between 0.5% and 2%. Comp sales from owned stores, and owned-plus-licensed stores are expected to be flat to up 1%. 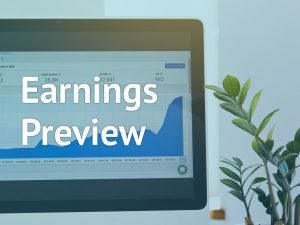 Adjusted EPS is targeted in the range of $3.55 and $3.75.